As Vista starts to populate the vast computer landscape in offices and classrooms across America, you should know that Microsoft works with assistive technology manufacturers in the Microsoft Assistive Technology Vendor Program (MATvp). Members of this program have a proven record of accomplishment of designing, building, and supporting assistive technology products that help individuals who need accommodation successfully use computers within the Windows operating environment. Despite this partnership, Vista does herald a new era of how we use our displays to organize and view data. More ‘stuff’ on our monitors is what Rehabilitation Engineer Michael Fiore discusses in a paper just published by the International Association of Rehabilitation Professionals Journal, RehabPRO. The paper discusses how the line between rehabilitation and technological advancement continues to blur. If you've had "creditable" health insurance for 12 months, with no lapse in coverage of 63 days or more, a new group plan cannot invoke the pre-existing condition exclusion. It must cover your medical needs as soon as you enroll. More information on insurance portability. A PDF version of the ADA Standards, as published in the Code of Federal Regulations, complete with links to figures, graphics and cross-referenced sections, can make designing building modifications easier by helping you understand related accommodation requirements. More information on the ADA Standards for Accessible Design. On September 6 of this year, a federal judge ruled that a lawsuit filed against Target Corporation by the National Federation of the Blind (NFB) concerning the accessibility of the company's Web site can move forward. This reinforces the need for businesses to reconsider accessibility when creating and promoting a web presence. 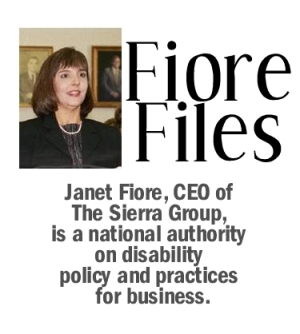 According to the NFB, the ruling sets a precedent establishing that retailers must make their Web sites accessible to the blind under the Americans with Disabilities Act (ADA). See the story that appeared in Computerworld.